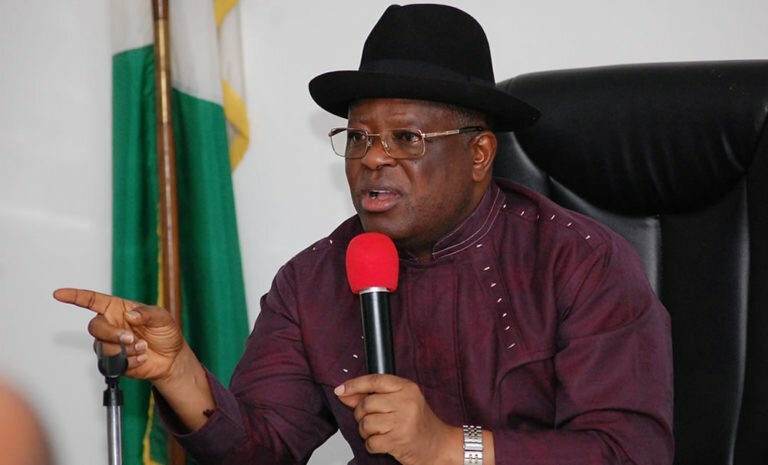 Ebonyi State Governor, David Umahi, leader of the sub technical committee on National Economic Council mediating between farmers and herdsmen crisis has said that Fulani herdsmen both in Benue and Nasarawa States have agreed to adhere to the new anti open grazing law but pleaded that they should be given enough time. Governor Umahi who addressed newsmen on the outcome of their visit to both Benue and Nasarawa States said that the herdsmen pleaded to be given enough time to commence ranching and or move to states with grazing reserves as well as requesting assistance from federal government. “The cheering news is that the herdsmen in Benue and Nasarawa States are ready to abide by the law but that they would need more time for ranching and support from federal government. “More time for them to move to grazing reserves with the support of federal government'”. Leader of the committee said that the members got to know that there were 2 million hectares of land in 19 states of northern Nigeria in which one million hectares of land was gazetted as grazing reserves. “We as a committee noted that there are over two million hactres of land across 19 northern Nigeria and over one million of them have already gazetted as grazing reserve and this one million is already developed. Governor Umahi said that there was need for federal government to help in the development of grazing reserves and to start seen animal husbandry as economic venture it could invest in by giving soft loans to owners. According to him, ‘federal government should begin development of grazing reserves, the CBN anchor borrower scheme that has succeeded in agricultural sector should be extended to animal husbandry, the animal husbandry should be seen as economic venture for government to invest in by giving soft loan’. Umahi said that the committee observed that both governors of Nasarawa and Benue states were committed to peace as identified by the security agencies. “It was observed that both governors shared informations, opinions and there is no crisis between them”, governor Umahi said. He further said that all parties (both herdsmen and farmers) talked about invasion by undocumented herdsmen that come from other countries and demanded that they should follows international ECOWAS rules and that all their cattle must be quarantined. Umahi said that the Fulanis denied the claim of conquest of Benue valley shifting the blame on social media . The committee members had arrived Makurdi, Benue State capital on Saturday on fact finding mission to look for ways to proffer lasting solution to the incessant crises between farmers and herdsmen across the country. Umahi said that the sub technical committee met with all the stakeholders both in Benue and Masarawa states. He also applauded the security operatives in both states but called on more deployment of troops to assist in early decongestion of the camps.